California sea lions have been feeding on threatened and endangered salmon and steelhead in the waters below Willamette Falls. Columbia and Willamette river salmon and steelhead face serious threats from California sea lions that prey on fish waiting to move up the fish ladders at Bonneville Dam and Willamette Falls. Since the 1990’s, sea lions have consumed tens of thousands of migrating fish at these two locations, many from threatened and endangered runs protected under the federal Endangered Species Act (ESA). The federal Marine Mammal Protection Act (MMPA) of 1972 specifies the actions States can/can’t take to manage California sea lions. Recognizing that predation by a growing sea lion population can jeopardize salmon and steelhead stocks at risk of extinction, the US congress amended the MMPA in 1994 to allow States to apply for limited lethal removal authority under a narrow set of circumstances (Section 120 of the MMPA). In March 2008, fish and wildlife agencies in Washington, Oregon, and Idaho received federal authorization under Section 120 of the MMPA to remove California sea lions that have been observed preying on salmon and steelhead below Bonneville Dam. The federal authorization allows wildlife managers to use lethal measures to remove sea lions that meet specific criteria, although the states’ first priority has been to relocate them to zoos and aquariums. The Oregon Department of Fish and Wildlife is now pursuing similar authorization to begin removing California sea lions preying on threatened fish below Willamette Falls. Removal of problem sea lions has proven to be the most effective means of protecting fish from predation. While exclusion gates keep sea lions out of the fishways, other non-lethal deterrents such as pyrotechnics and rubber buckshot fired at them have only a temporary effect. Wildlife managers from Washington and Oregon and federal and tribal partners have been chasing sea lions away from the area immediately below Bonneville Dam for over a decade. 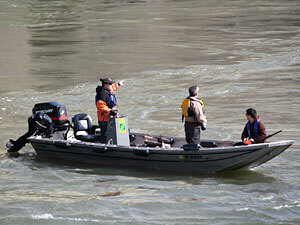 The Oregon Department of Fish and Wildlife conducted similar efforts below Willamette Falls in 2010-13. But these efforts have not proven effective in curbing salmon predation by robust populations of California sea lions. The California sea lion population along the West Coast is no longer considered at risk and has likely reached its “optimum sustainable population” with the current population of an estimated 250-300,000 individuals, up from <75,000 individuals when the Marine Mammal Protection Act was adopted back in 1972. This means removing the relatively few sea lions necessary to reduce the immediate risk to salmon and steelhead at Bonneville Dam and Willamette Falls will have no impact on the California sea lion population. ODFW pinniped biologists believe California sea lions are now expanding beyond their historic range, to include Willamette Falls, where the first documented sighting was in the 1950s. Of note, all of the sea lions that migrate north of California are males. There has been an unprecedented effort among Northwest states, federal agencies, tribes, and private citizens to protect and recover salmon and steelhead. These efforts equate to hundreds of millions of dollars invested annually and billions over the past decades. The ongoing imperiled status of these fish is not only costing the region millions in direct investments, but also in opportunity costs associated with lost fisheries, restricted power generation, and constraints on land and water use. If predation by sea lions at these environmental pinch points is not addressed there is a high risk that these investments will fail and additional fish runs will be extirpated. California sea lion predation on native Upper Willamette River salmon and steelhead stocks has been a growing threat to these fish populations and is now at a crisis point. The Upper Willamette River Winter Steelhead Population Viability Study, completed by ODFW scientists in 2017, concluded that upper Willamette River native steelhead are at significant risk of extinction due to predation by California sea lions. Sea lions are not native to the Willamette River and are preying on native runs of steelhead and salmon that are listed as threatened under the federal Endangered Species Act. 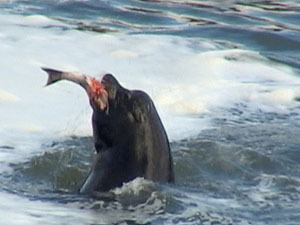 In addition, California sea lion are eating native populations of white sturgeon and lamprey in the Willamette River. In October 2017, ODFW submitted an application to NOAA Fisheries for authorization to remove sea lions from below Willamette Falls under Section 120 of Marine Mammal Protection Act. On Nov. 14, 2018 NOAA Fisheries approved ODFW’s application and authorized the agency to remove and euthanize up to one percent of the population’s “potential biological removal” level, a metric that translates to a maximum of 93 animals a year on the lower Willamette. ODFW must meet two federally-mandated criteria to remove an individual sea lion:1) the sea lion t must be observed in the area between Willamette Falls and the mouth of the Clackamas River for two days, or 2) be seen eating salmon or steelhead. Those sea lions captured on the Willamette by agency biologists and staff will be transported to a secure facility and humanely euthanized. ODFW’s Section 120 authorization for lethal removal of California sea lions comes after 20 years of intermittent monitoring and non-lethal measures by staff to reduce sea lion predation at Willamette Falls. The lengthy period of monitoring that preceded this action will continue into the foreseeable future , and the authorization re-evaluated in five years to determine if it should be renewed. Video of sea lion predation at Willamette Falls. California sea lions are returning from their breeding ground in Southern California to Willamette Falls earlier every year and staying longer. Sea lions are now arriving as early as August, well before the first of the ESA-listed upriver wild Willamette winter steelhead are showing up at the falls. In 2017, the single day maximum number of California sea lions was 41, up from the 2-4 observed in the late 1990s and early 2000s. ODFW estimates sea lions consumed an estimated 25 percent of the Willamette River wild winter steelhead population in 2017. ODFW conducted non-lethal hazing of sea lions in 2010, 2011, and 2013 in an attempt to deter sea lions from foraging near the fish ladder entrances at Willamette Falls. After hazing proved to be unsuccessful, ODFW began a rigorous monitoring program, tracking sea lion abundance and predation to document the extent of the problem. The results of these monitoring efforts can be found in these reports: 2014, 2015, 2016 , 2017 and 2018. Monitoring will resume in January 2019 and continue through May. Removing sea lions is the latest attempt by ODFW to reduce pinniped predation on the lower Willamette In order to prevent Oregon’s iconic Upper Willamette native steelhead from going extinct. ODFW now considers sea lion predation one of the greatest threats to the survival of wild winter Willamette steelhead as well as native Chinook, lamprey and sturgeon. 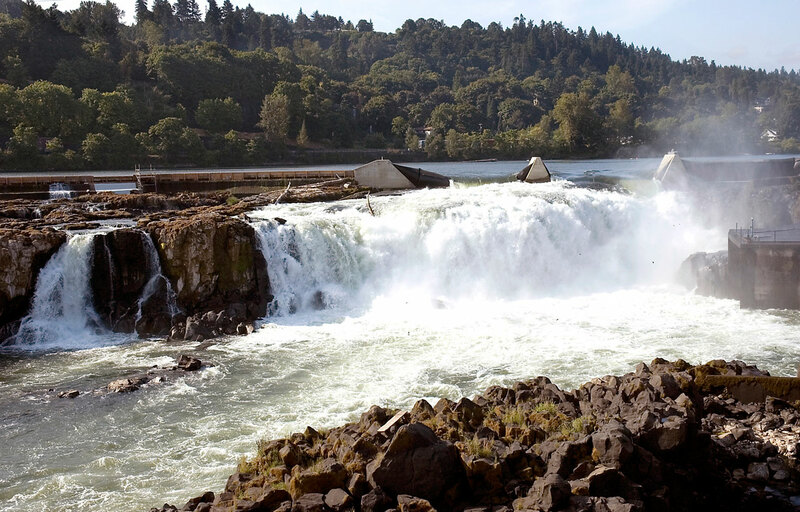 Last year, the number of wild steelhead that crossed Willamette Falls fell to an all-time low of just 512 adult fish, while marine mammals were responsible for taking an estimated 25 percent of the run. So far this year’s steelhead are tracking slightly better but are still far below the ten-year average. 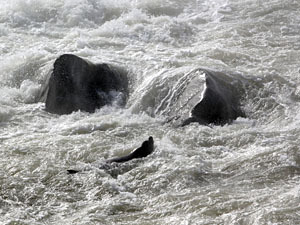 ODFW is trying to avert a situation similar to the one at Ballard Locks in Seattle in the 1980s where a small group of California sea lions wiped out the Lake Washington native steelhead population by preying on them while they congregated in a concentrated area that made them susceptible to predation. In February 2018, ODFW began relocating California sea lions from the lower Willamette River to the Oregon Coast in an attempt to reduce extinction risk to wild Willamette steelhead. On Wednesday, Feb. 7, 2018 ODFW biologists captured the first California sea lion on the Willamette. This male has been coming to Willamette Falls to feed almost every year since 2009, including every year for the past five years. Following his release at South Beach near Newport, he was back at Willamette Falls in three days, a swim of more than 200 miles. A second sea lion was relocated Thursday, Feb. 8 and returned in six days. With federal authorization now in hand, ODFW began lethal removal of California sea lions in December of 2018 when two animals were removed. ODFW plans to continue the Willamette sea lion trapping operation until spring when efforts to control sea lions will move to the Columbia River at Bonneville Dam. Lethal removal of sea lions on the lower Willamette is the latest attempt by ODFW to reduce pinniped predation on the lower Willamette. The agency also tried non-lethal hazing of sea lions for three years starting in 2010 but concluded those efforts were ineffective. ODFW now considers sea lion predation one of the greatest threats to the survival of wild winter Willamette steelhead as well as native Chinook, lamprey and sturgeon. In 2017, the number of wild steelhead that crossed Willamette Falls fell to an all-time low of just 512 adult fish, while marine mammals were responsible for taking an estimated 25 percent of the run. One California sea lion was trapped and euthanized. Three California sea lions were trapped and euthanized. Two California sea lions were trapped and euthanized. Since 2008 the Oregon Department of Fish & Wildlife and Washington Department of Fish & Wildlife have staffed a branding and removal program to reduce predation at Bonneville Dam problem California sea lions. From 2008 to 2017 a total of 190 California sea lions were removed from the Columbia River: 15 were placed in permanent captivity, 7 died in accidents incidental to trapping, and the remainder were chemically euthanized. Visit the NOAA Marine Fisheries Website for more information about the Section 120 application and authorization. Media contact: Rick Swart, rick.swart@state.or.us, 971,673.6038.